For the month of October which is Breast Cancer Awareness month I am going to put up at least on inspirational, scary, motivating sad, thought-provoking or funny post that is in memory of my Mom. 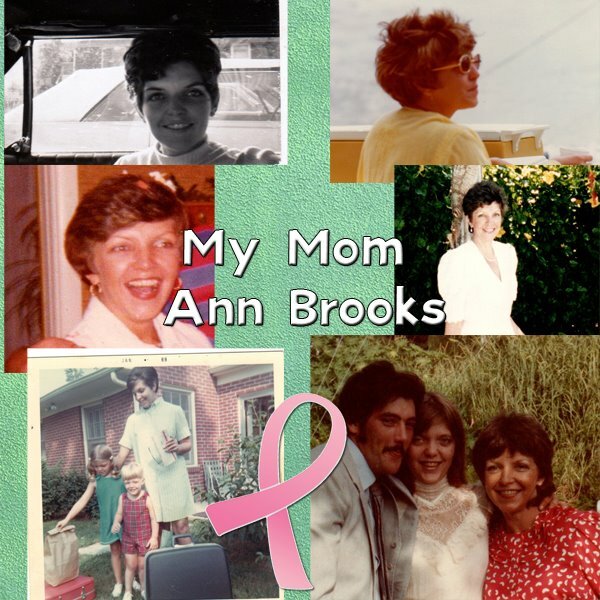 Ann Brooks a beautiful woman who lost her battle with breast cancer in 2004. Here is the first. Emily Helck took a picture of herself everyday as she went through chemotherapy treatments to battle her breast cancer. Keep up the fight Emily. If you would like to visit her blog click here. How Do You Make a Grown Man Cry? Show Him a Clip on FGM. This guy was just trying to pick up his kids and got tasered for it. This is the America that we live in.